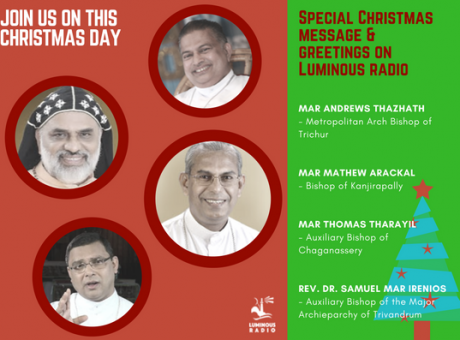 Luminous Radio – Beacon in the darkness! 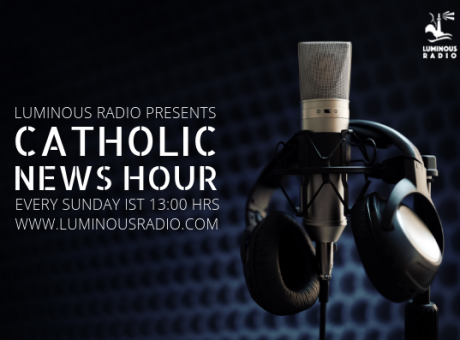 Luminous Radio is a not-for-profit Catholic Online Radio on the Internet. 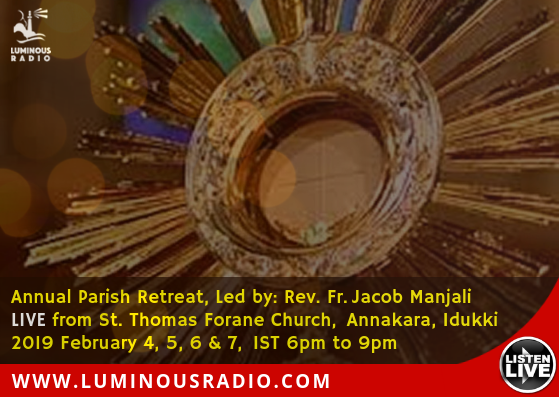 Luminous Radio provides commercial-free worship music, prayer & talks. 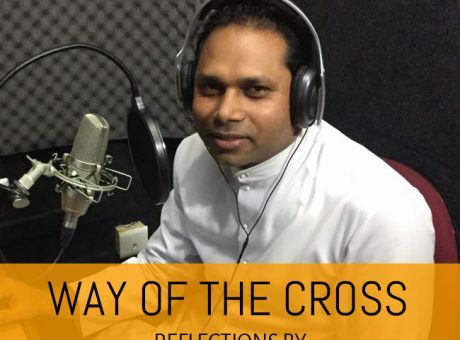 Christians in faraway countries, who don’t have access to a terrestrial station can listen to this Christian Radio. 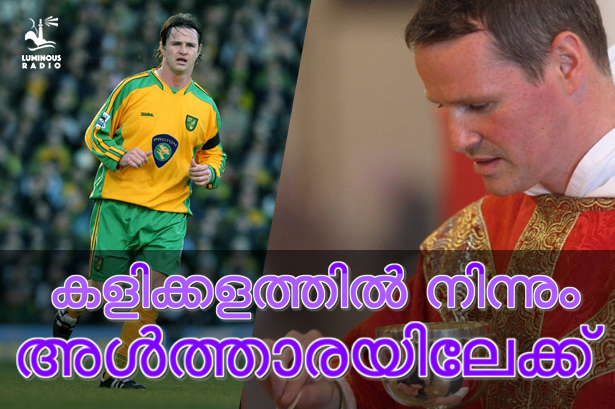 You can now listen FREE to Catholic Songs, Talks, Prayers, Holy Mass, Powerful testimonies etc. God has blessed this initiative to work among His people. May the fruits of His wisdom be relished by all. We are committed to teaching the truths and traditions of the Catholic Church, in obedience to the Magisterium and our Holy Father, Pope Francis. With five stations in 4 different languages, we are here bringing you informative, educational and entertaining programming on countless Catholic topics. 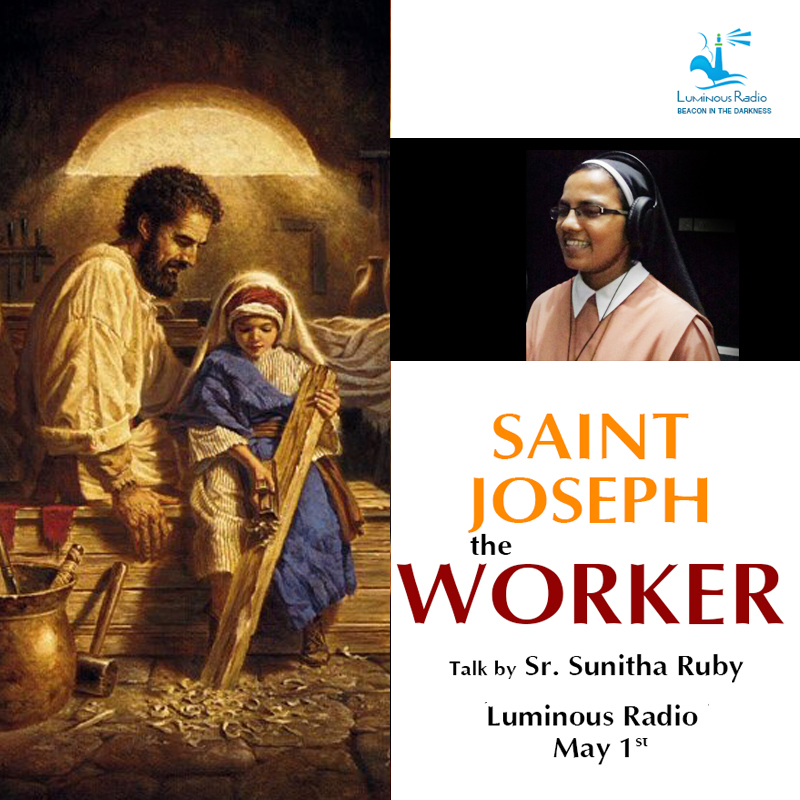 Listen live to Luminous Radio for your soul: online, on your smartphone, or through our app. 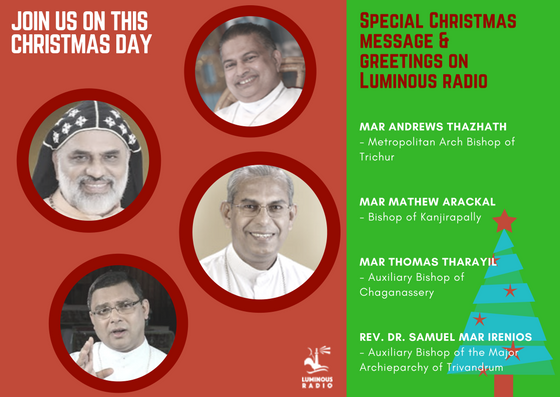 Download Luminous Radio app to listen on the go. 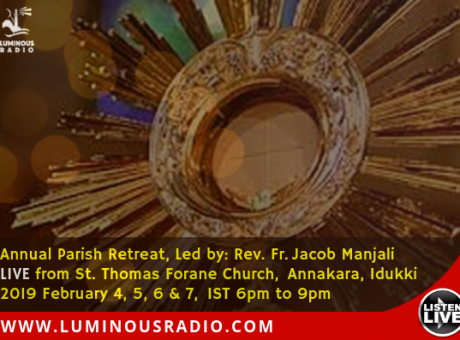 Luminous Radio is a non-profit lay-apostolate which intends to spread the radiance of His Majesty through internet. 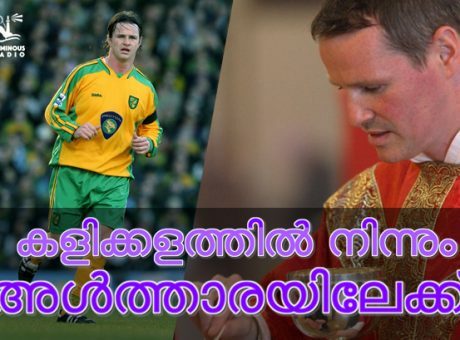 With the changing scenario, the urge to open up new and fresh possibilities of evangelisation is gaining large impetus. 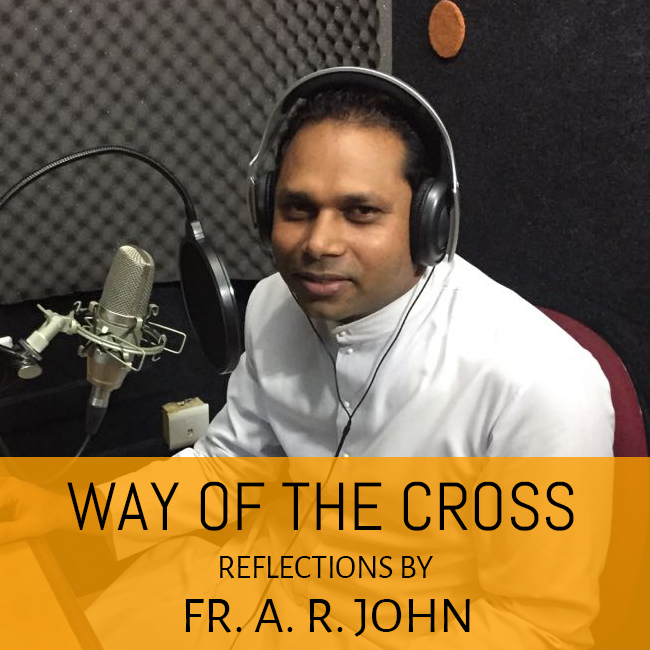 To align with every stride of church in this field, Luminous Radio – an online catholic radio, wishes to extend this spiritual service to all. As we are the hands, the feet, the tongue and heart of Christ in this world, let us not keep aside any effort in making Christ’s presence known everywhere and among all. 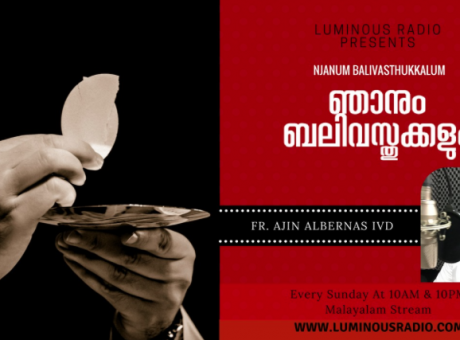 With fresh new talks of priests and lay persons, Luminous radio opens the wide possibility of online radio to the native Malayali listeners here at home and abroad. Trying to shake away all the barriers of distance and unavailability, we offer a fresh new lease of relief to those who yearn for a connection with the Lord. 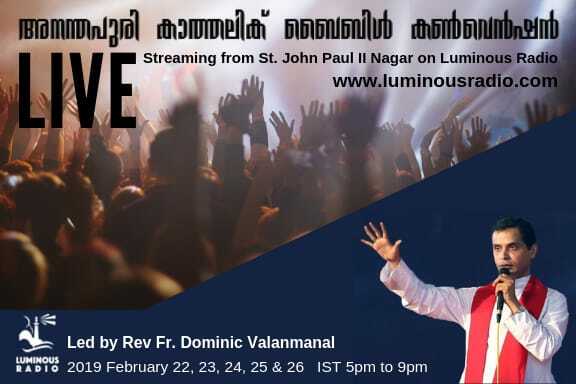 Reaching out to our sisters and brothers there in the distant north, we extend this online platform to all listeners in Hindi and aim to share this happiness of togetherness in Lord. For what can separate us from the Love of Christ neither depth nor height, neither distance nor language. 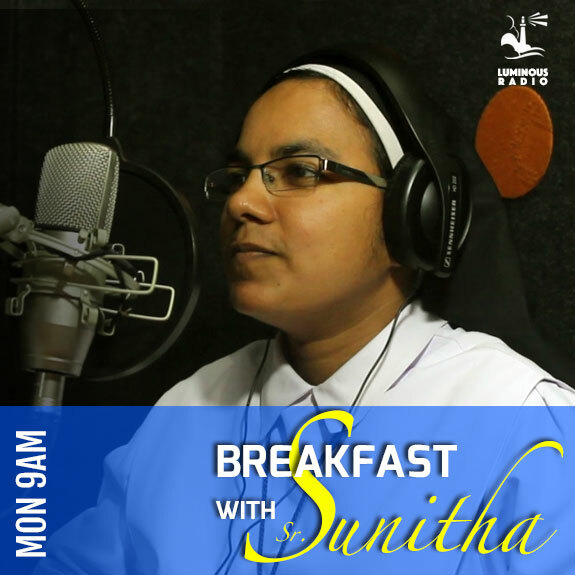 Luminous radio, the first multilingual catholic online radio, aims to spread the beauty of the word of God to all those who dare to believe. 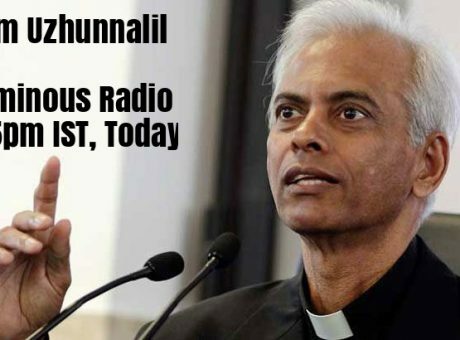 With English hymns and songs, Luminous radio wishes to take you into a fresh new world of internet where this online radio links you 24×7 to His Majesty’s presence. 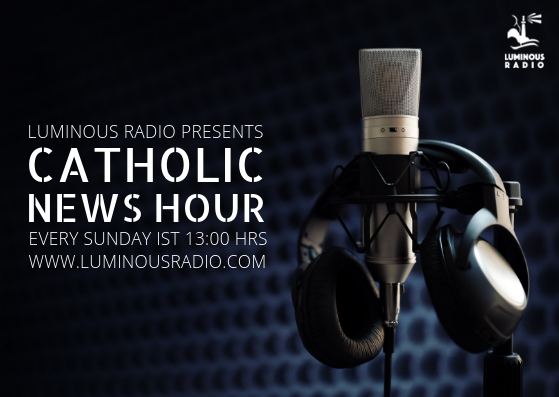 Luminous Radio is a is 100% listener supported Catholic Online Radio. Our listener’s base exceeds 10 K and with the vital urge to reach out to the maximum. We aim high to accelerate our growth and presence among all. This is only possible with your support through prayers and donations. If you wish to extend your donations to this initiative you can do that through our give link. Let the whole world get to witness the gargantuan change this mustard-faith in us could bring about. 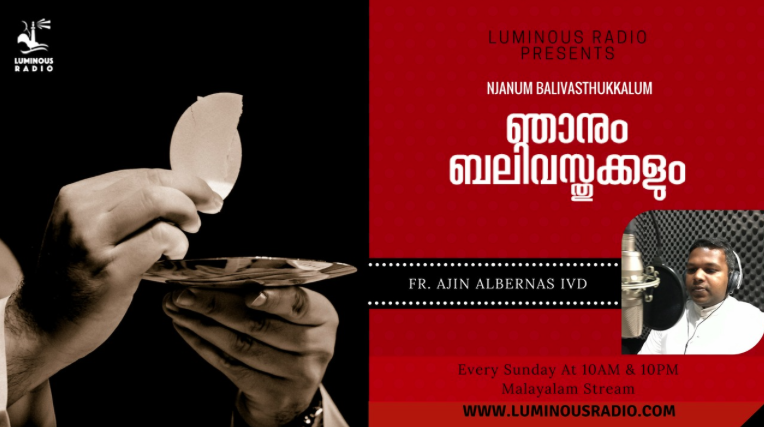 Dear Luminous team, what a wonderful and blessed service you do especially for the overseas malayalee christians!!. Thank you very much for keeping us in spiritually active even at work. I am so blessed and happy to listen to our online radio anytime anywhere in the world. God bless all our team. 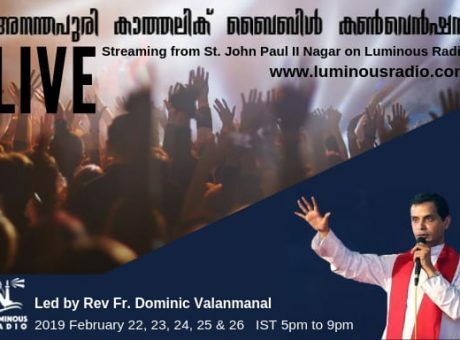 A big step to global evangelisation. Seated thousands of miles away, busy in office, listening to this helps me to keep up my faith. God bless all behind this venture. MAY THE GOOD LORD BLESS THIS WONDERFUL MINISTRY OF REACHING OUT TO THE PEOPLE IN BRINGING THE TIDINGS OF THE GOOD NEWS. MAY JESUS BE PRAISED FOR EVER. May the name of Jesus be praised everywhere, at every chance, in every way. Pray that these efforts of evangelization will bear much fruit. And let this be an additional cap in the efforts of Jesus Youth in their Mission and Goal. God bless. Very very good initiative. Easy to use, no buffering in between. 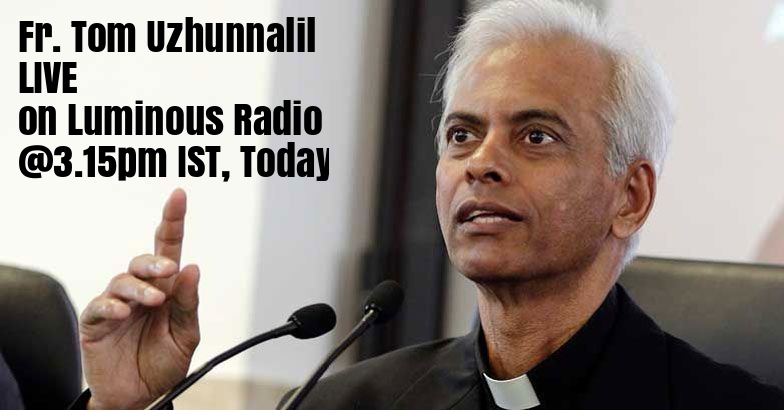 This catholic online radio will be helpful for many. 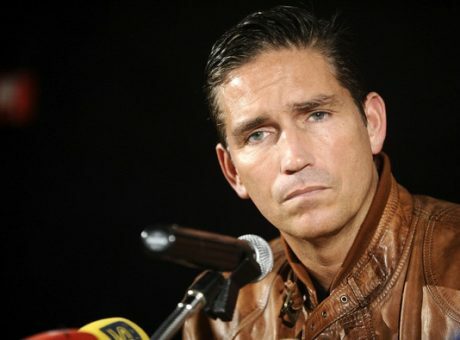 I REALLY THANK GOD FOR THIS GREAT MISSION. I really thank God for this Great mission. I pray to Almighty bless who hears this Radio Program abundantly.